Antidepressant & Stimulant: The components of Bergamot Oil, like Alpha Pinene and Limonene, are antidepressant and stimulating in nature. They create a feeling of freshness, joy and energy in cases of sadness and depression by improving the circulation of the blood. They also stimulate hormonal secretions, thereby helping to maintain proper metabolic rates. This stimulating effect also increases the secretion of digestive juices, bile and insulin, thereby aiding digestion, proper absorption of nutrients, assimilation and decomposition of sugar and the resultant lowering of blood sugar. The hormonal impact of bergamot essential oil is part of the reason that it is so powerful on theseneurological and mental conditions. Antibiotic & Disinfectant: Certain components of the essential oil of Bergamot are antibiotic and disinfectant in nature. They inhibit the growth of germs, virus and fungi. They also effectively prohibit infections, including those of the skin. If regularly used with bathing water or in soaps (it is already used extensively in skin care soaps), the skin and hair remains protected from infections and become shiny. It also cures infections of the colon, intestines, urinary tract and kidneys. Analgesic: Bergamot essential oil reduces the feeling of pain in the body. Actually, it stimulates secretion of certain hormones which lessen sensitivity of nerves to pain. Therefore, it is very helpful in case of headaches, sprains, muscle aches or any other symptoms or ailments which require a heavy dosage of analgesic pills. This means that you can avoid the dangerous side effects of many over the counter pain medicines, which often have adverse side effects and can do damage to your liver and kidneys when relied on heavily, as well as thinning your blood, or causing you to lose sleep. Relaxant & Sedative: The flavonoids present in Bergamot oil are very good relaxants as well. They soothe nerves and reduce nervous tension, anxiety, and stress, all of which can help cure or treat ailments associated with stress such as sleeplessness, high blood pressure, insomnia, and depression. They can also stimulate the activity of certain hormones in the body, which induce feelings of relaxation and sedation, like dopamine and serotonin. Digestive: As discussed above, bergamot essential oil activates and increases secretions of the digestive acids, enzymes and bile and facilitates digestion. It also synchronizes and regulates the peristaltic motion of the intestines and in this way, it quickens the digestive process and reduces strain to the intestinal tract. In this way, bergamot essential oil can reduce constipation, make bowel movements more regular, and prevent gastrointestinal complications like colorectal cancer and other uncomfortable or dangerous conditions. Cicatrisant: This property of bergamot oil is the reason behind its extensive use in cosmetics and skin care products such as beauty soaps, creams, and lotions. Cicatrisant means a property or an agent which helps scars and other marks on the skin to disappear. It also makes the distribution of pigments and melanin even and uniform, resulting in the fading away of marks and an even, attractive skin tone. This essential oil is commonly used to eliminate the unsightly effects of acne, which can leave noticeable scars and marks on the affected areas for many years. Deodorant: This property of bergamot oil makes it popular with the younger generation who is always trying the new deodorants on the market, desperately searching for something truly refreshing and natural. Bergamot essential oil is an excellent deodorant. Its refreshing aroma and disinfectant properties, which inhibit growth of germs causing body-odor, make it an effective and attractive delivery system as a deodorant. Citrus smells are very powerful, and can overcome or eliminate many other odors that people smell in a certain area, which is why bergamot oil is also used in room fresheners and sprays. Febrifuge: A febrifuge is a substance or an agent that reduces fever and lowers body temperature. Bergamot is a good febrifuge for a number of reasons. First of all, as an antibiotic, it fights infections that arise from viruses, bacteria and protozoa that cause fever, including influenza (virus), malaria (protozoa) and typhoid (typhus bacteria). Secondly, it stimulates the metabolic system and gland secretions, thereby providing a feeling of warmth and resulting in additional secretion (perspiration or sweat) from the Eccrine glands (sweat glands) and sebaceous (sebum) glands, thus reducing body temperature. This can also reduce toxicity of the body through perspiration, and clean out the glands and pores of any foreign toxins that can result in a variety of skin conditions. Vermifuge: It kills worms, and it is a subtle and fragrant choice for children who have contracted worms. It can also be applied on unhealthy, infected teeth or used as a mouthwash to kill oral germs and protect teeth from the development of cavities. Intestinal worms can result in malnourishment and other serious deficiencies including various forms of anemia, so eliminating these worms, particularly in growing children, is a very important application of bergamot essential oil. Antispasmodic: Itrelaxes nerves and muscles, thereby giving quick relief for cramps, convulsions, and painful muscle contractions. This can also be important for people with chronic coughing or respiratory conditions, as well as asthma, which is similar to a spasmodic reaction. Antiseptic & Vulnerary: The same disinfectant and antibiotic properties of bergamot oil make it a good antiseptic and vulnerary agent. It not only promotes fast healing of wounds, cracks on the skin and heels, ulcers, eczema, and itching, but it also protects wounds from becoming septic and developing deadly tetanus. It not only treats and heals the effects of other infections, but inhibits the formation of new infections. Other Benefits: Bergamot essential oil is also a tonic, meaning that it tones up the respiratory, circulatory, digestive, excretory, and nervous system, as well as skin and muscles. It is also anticongestive and is used in vaporizers to relieve congestion and respiratory problems, particularly during coughs and colds. It works as an expectorant to loosen up phlegm and mucus in the respiratory tracts and helps the body to eliminate through natural avenues like sneezing and productive coughs, thereby reducing the total amount of material and eliminating some of the germs and toxins that caused the condition in the first place. Although research has been limited on some of these issues, the respiratory and digestive effects of bergamot essential oil may be even more extensive than originally thought. Ongoing studies show that application of bergamot essential oil may be able to eliminate the formation of gall stones and protect against colic, halitosis, bronchitis, and diptheria. 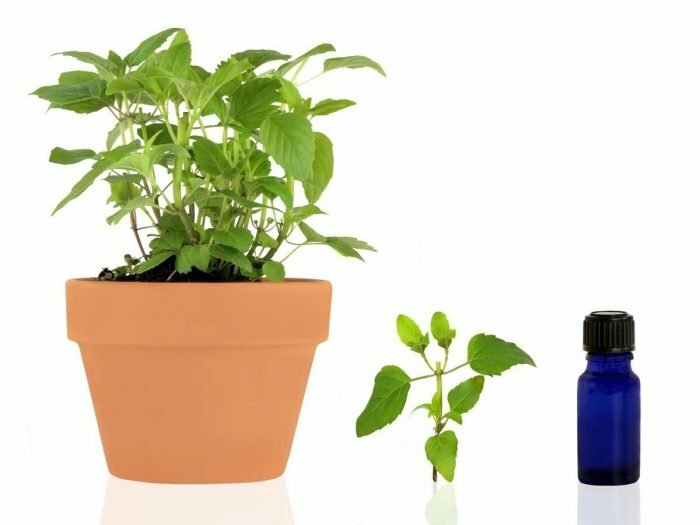 A Few Words of Caution: Bergamot oil must be protected from sunlight, because bergaptene, one of its components, becomes poisonous if exposed to sunlight. That is why the oil should always be stored in dark bottles in dark places. Exposure to sunlight should even be avoided after it is applied or rubbed onto the skin, at least until it absorbs into your skin. Blending: Bergamot Oil blends with Clary Sage, Frankincense, Mandarin, Jasmine, Black Pepper, Cypress, Geranium, Nutmeg, Sandalwood, Orange, Rosemary, Vetiver and Ylang-Ylang Oil. It is particularly complementary with other citrus oils.